Founded in 1979, WhitMar Exploration Company is a private energy company located in Denver, Colorado. The company is actively engaged in the drilling and development of natural gas and oil prospects in the continental United States, with primary focus on oil shale and gas shale prospects. 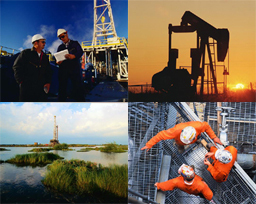 WhitMar is managed by a team of professionals with the technical skills to internally generate and develop high quality natural gas and oil prospects, exposing itself and its participating partners to exceptional investment opportunities. By concentrating its efforts in proven oil and gas basins throughout the United States, WhitMar utilizes existing infrastructure to quickly develop and market its natural gas and oil production. The company pays close attention to the details of its operations, and controls the costs and expenses of its operations. Ultimately, this diligence improves the economics of our projects, both for the company and its participating partners. WhitMar often brings in other oil and gas companies and other high net worth individuals, as joint venture partners, to invest in and develop its prospects.